For those interested in area history and genealogy I have put together a list of information and names you may find helpful in your searches. This is by far not complete, but used in conjunction with my Death Records listing found on the Nipigon Museum blog, you will find an almost complete guide to the people that were living in Nipigon at the time. There are still more names of people from this era, who are not possible to list as they were tourists, hiring local natives as guides for fishing and hunting. In pre-history the Maraneg were though to be the first inhabitants of Lake Superior’s Northern shore, as the Ojibwa tribe grew, the Maraneg were absorbed into the culture as one. Over thousands of years the Ojibwa survived and thrived by hunting and fishing in the area. In those times the Red Rock Cuesta became a sacred place where peace pipes were crafted from the deep “red rock.” From finds in Mexico, it was found that the Mayans made their way to the Nipigon area, as crafted rock had been linked to this very Cuesta. In 1658 (ca) the first Europeans arrived in the area, resulting in extensive exploration, mapping, and fur trading. 1770 - 1780, traders, and trade good increased along the north shore, assorted travelers included French and English fur traders , Jesuit Missionaries, 19th Century scientific-exploratory based expeditions, as well as several British, Canadian and US survey teams. 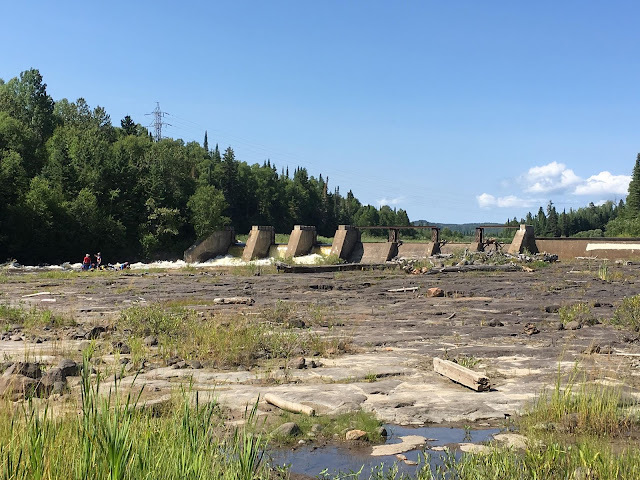 In 1786 the North West Company set up the first post in the Nipigon Basin, where they were at odds with the Hudson’s Bay Company on this very profitable river. In more recent times, Red Rock is said to have been the site of war games every year. Peaceful tournaments, where it was said the shore from Red Rock to Nipigon was completely lined with TeePees for the games. Each game also consisted of a feast and drumming. My great great great grandfather John Hardy had told stories of the Iroquois wars. They would come up the river and attack the village, killing the old men, fighting the able bodied, stealing the women and children. 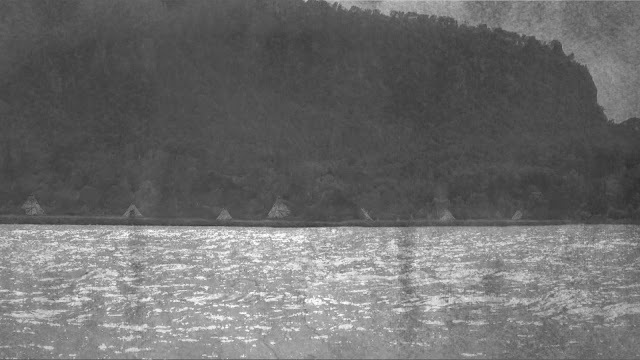 The hill and beach at Lake Helen are said to be full of bodies from these attacks, both the Ojibwa and the Iroquois, laid to rest wrapped in birch bark. In more recent times Europeans arrived in the area making use of the abundant wildlife in the area for the fur trade. Rivalry between the French North West Company and the English Hudson’s Bay company had been longstanding. A post was set up called Red Rock Post, 3 sites are speculated. The first on Lake Superior, the second on Lake Helen’s Western shore, the third on the Nipigon River where the dock stands today. The mudflats at the mouth of the Nipigon river was the site of shacks, where the inhabitants were told to defend the mouth of the river against any strange invaders. No one ever did as these were not fighters, but people just trying to survive in an extreme climate. 1870 saw the Canadian Pacific Railway built along the lake to supply a number of locations at once, making way for more people to travel and create communities. It was completed between 1883 - 1885. Prior to this the only way into the area was via small boats and steamers. In 1863 steamboats were a staple on the lake, bringing goods from Sault Ste. Marie and Port Arthur on a regular basis to Nipigon to be disbursed. Many of the names back in 1871 were original native names of the area, some of which can still be traced to names nowadays, shortened, some anglicized. Noteworthy was the name DeLaRonde, as Henry was a Count. The following list is incomplete, as mostly family names are recorded and not every person residing in each home. Another noteworthy names was Robert Crawford, the HBC factor, who for a time was also said to manage the Red Rock Post Office at Everard. Many sites have been excavated in the Nipigon area by KCA Dawson, and uncovered many artifacts from early inhabitants to remnants of the fur trade era. The cemetery in those days was not at Nipigon, but at St. Sylvester’s RC Church in Lake Helen. The majority of the crosses have dissolved over time, and there are now many nameless burials. However it is safe to assume the majority of the names in the cemetery are the names found in the following list. Catharine Delaronde has a headstone there.